Year Up’s Professional Training Corps (PTC) is an intensive, one-year program for Associate Degree students that combines hands-on skill development and internships at some of America’s top companies. 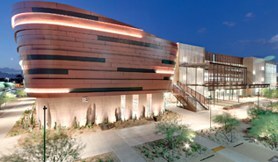 As you work toward completing your degree at Maricopa County Community Colleges (MCCCD) we support you in launching a career in Cyber Security, Computer Programming, Help Desk or Business Operations. 85% of our graduates are employed and/or attending college full-time within four months of graduation and earn an average of $36,000. There is no cost to participate in the Year Up PTC program. The only investment we require is your time and commitment to success. In fact, Year Up students receive a stipend throughout the life of the program, based on meeting expectations. Because we believe that everyone has the potential to succeed, that’s our investment in you. 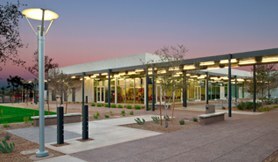 *As a full-time Maricopa Community Colleges student, you are expected to cover the cost of your college tuition through a combination of grants and scholarships; Year Up and Maricopa Community Colleges will support you with making connections to resources. 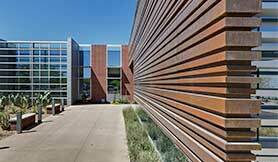 Classes begin in the fall and spring of each year. Applications are considered on a rolling basis until the class is filled. We encourage you to apply early as space is limited. Take five minutes to let us know you’re interested in applying or visit our office at 1245 E. Buckeye Rd. Phoenix AZ 85034. Call (480) 376-0898 or e-mail to contact an admissions representative to discuss your interest in the program. 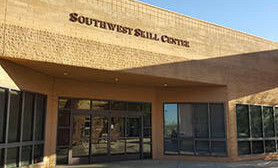 Information sessions are held every Wednesday at 11:00 a.m. and at the 4:30 pm Location: GateWay Community College Central City Campus, 1245 E Buckeye Rd, Phoenix AZ 85034 in RM A166. Register as a full-time student at MCCCD, if you are not registered already, and ensure that your major and degree requirements are aligned with the requirements of the Year Up program.